For those watching their cholesterol and salt intake, caviar should be reserved as a rare treat as it is high on both counts. On the other hand, caviar is a rich source of vitamins A and D, as well as omega-3 fatty acids which some researchers say can aid in deterring depression. Caviar is touted as a hangover remedy due to its high content of acetylcholine (a neurotransmitter believed to play a key role in memory retention) which lines the stomach and increases the body's tolerance to alcohol. 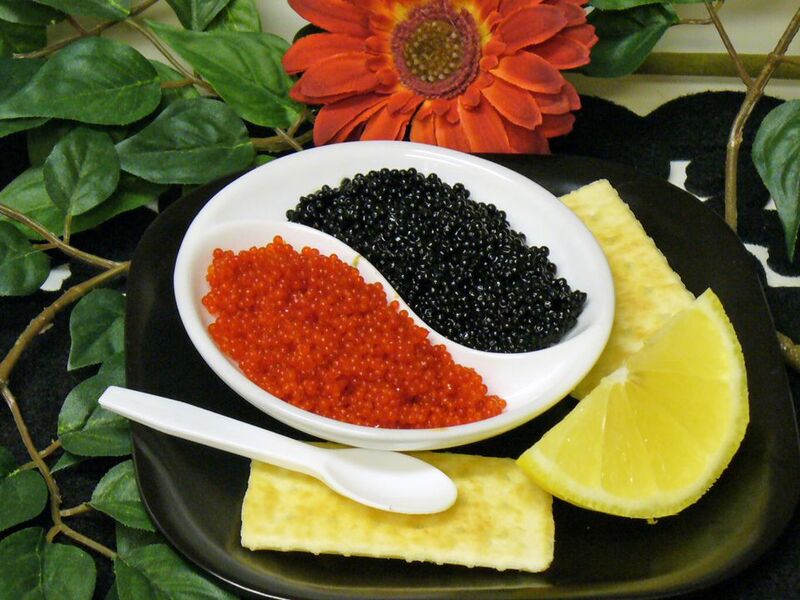 Arginine, a vascular dilator in caviar, helps increase bloodflow, thus the claim as an aphrodisiac. Surprisingly, airlines purchase about fifty percent of the world's caviar to serve to their first-class passengers.